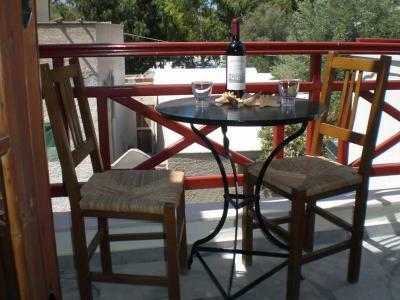 Lock in a great price for Villa Kasteli – rated 9.2 by recent guests! 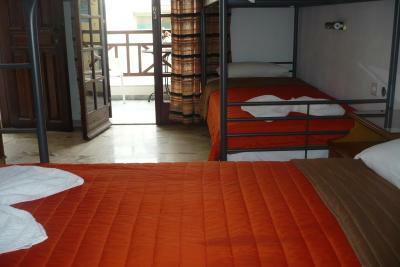 Clean, basic hostel that you need. Vicky was supper nice. Feel relax and so comfortable. Vicky is so friendly and super helpful. 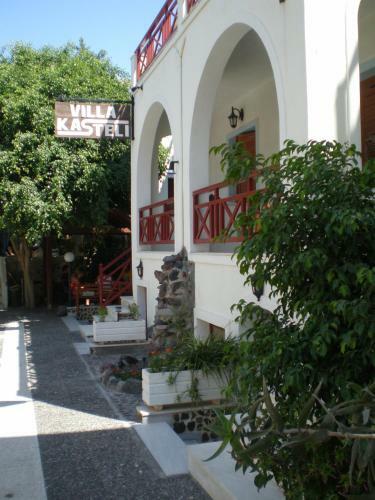 Quite far from Thira and Oia but the price is acceptable. 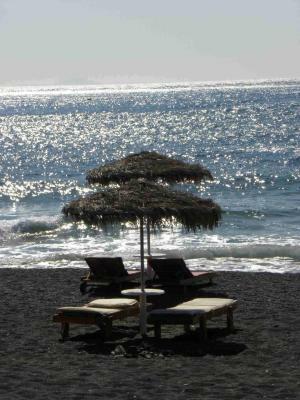 Near bus station to Thira and Perissa Black Sand Beach. 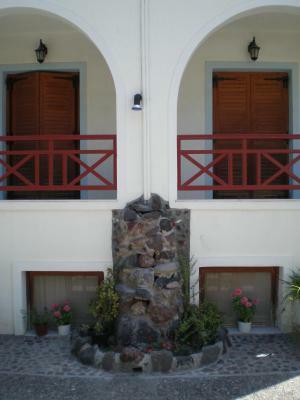 Great place and owner of the Vila ( Vicky ) was very helpful and kind. Everything about staying here was perfect. Vicky and her family are fantastic and they tell you all about the island and give you a map. The beach is a few minutes walk and there are a lot of restaurants and bars. 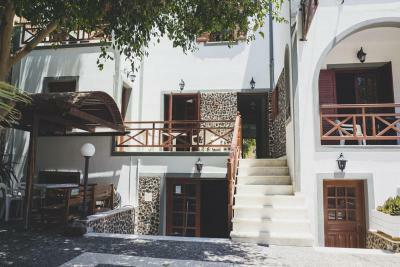 If you are coming from the airport the bus into Thira is right outside then at Thira bus station you catch one to Perissa. 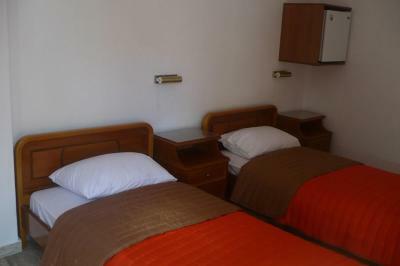 From this little hotel you can easily get buses and bustop is a few minutes from hotel. If you are coming from the port it’s 10 euros by shuttle bus. Stay here as Vicky makes a good toasted sandwich and coffee for breakfast and you can swim at sunset in the beautiful sea here. 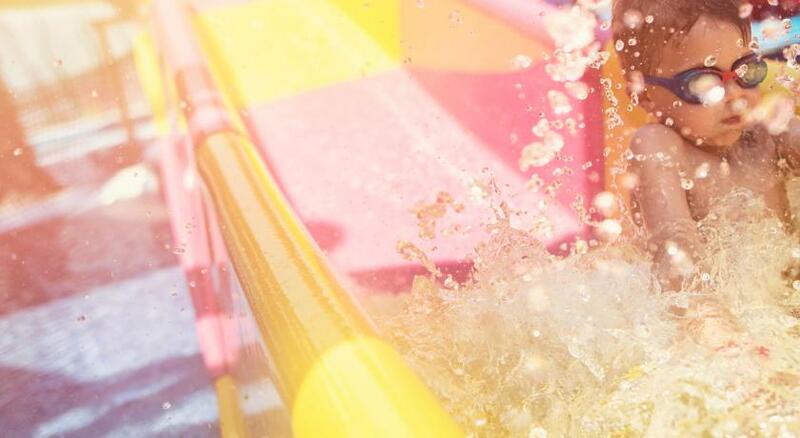 It’s value for money and you will meet a lot of people from all over the world . I made lots of new friends in my 7 days here. I highly recommend this hotel. It's a few min walk to Perissa Beach, probably the best to chill out on the island. Although there's no sand, but rocks, the water here is unbelievably clear, perfect for snorkeling. 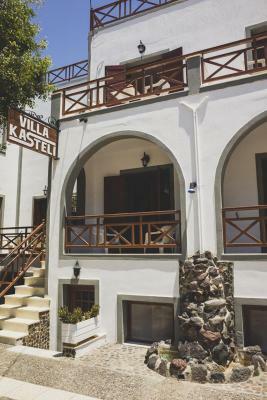 There are buses that connect the whole island and they run right by Villa Kasteli, so you're not isolated at all! The staff was very lovely, they provided me with a bottle of drinking water upon arriving (since you cannot drink tap water), cooked breakfast for free and helped me with shuttle service to the airport. I'd definitely stay here again! Vicky tries to learn everyone’s name and is very good at introducing you to knew people. 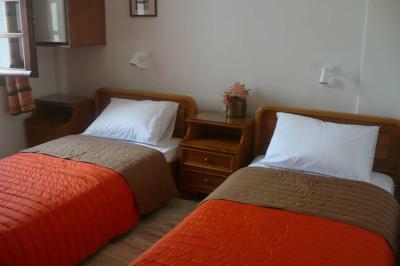 It is very close to the beach and a lot of restaurants. - Vicky ... the owner, she’s so nice. She welcomes me very warmth and open and helpful. 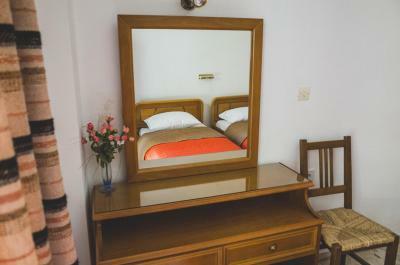 - The bathroom located inside the room, so less hassle. - The location is very very close to the bus stop. - A very good breakfast, Greek coffee and cheese toast. 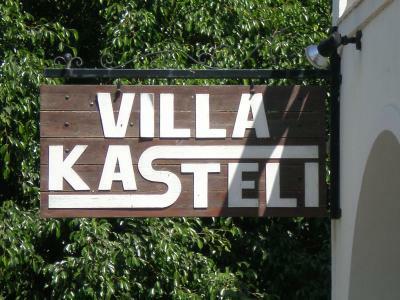 Villa Kastelli has the best host, I could have ever imagined! 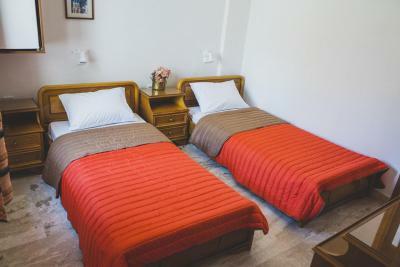 You will feel like it is your home away from home. 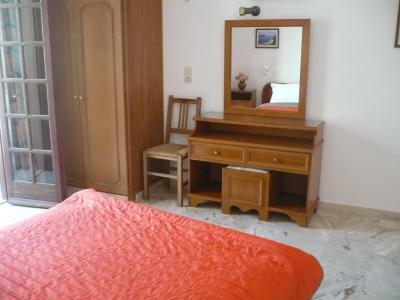 Very close to the beach, near many restaurants. A friendly dog to greet you when you arrive. And Vicky, the host will welcome you with open arms and make sure you get introduced to all the other guests. Highly, highly recommend staying here! 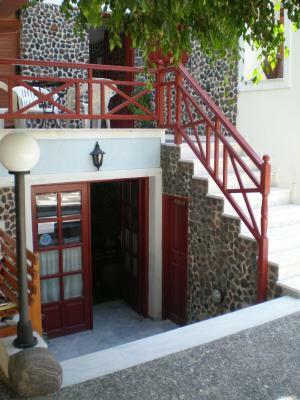 The hostel is right by the beach and the owner is so friendly and wonderful. Our private room was comfy, clean and had a cute little balcony. Breakfast was simple but delicious and the airport transfer was seamless. This was the best intro to santorini that we could have hoped for and even though we only stayed a night, Vicky made us want to return! 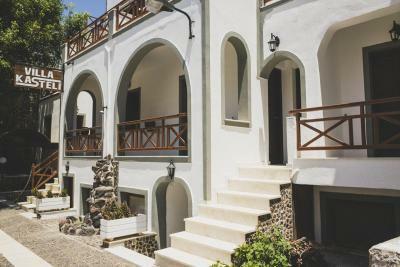 Located in Perissa Village of Santorini, the family-run Villa Kasteli offers air-conditioned accommodations with a furnished balcony. Free WiFi is provided throughout. 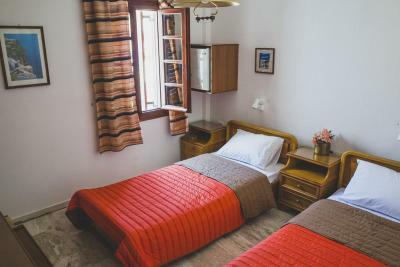 All units of Kasteli are equipped with a fridge and a TV, while some also include a living room and a kitchenette with stovetop. The private bathroom comes with shower and a hairdryer. 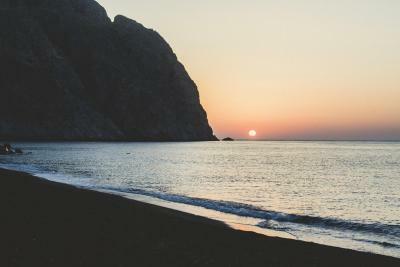 Guests will find the black sandy beach of Perissa, where taverns and bars are featured, within a short walking distance. 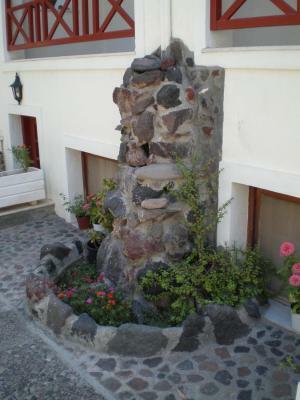 The lively Town of Fira is located 8.1 mi away, while Santorini Airport is approximately 8.1 mi away. Free public parking can be found nearby. 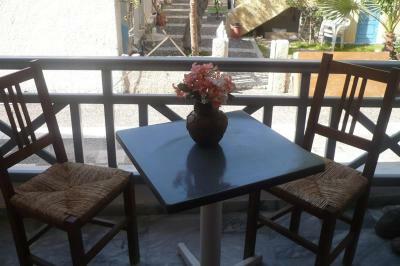 뀐 Located in the top-rated area in Perissa, this property has an excellent location score of 9.1! 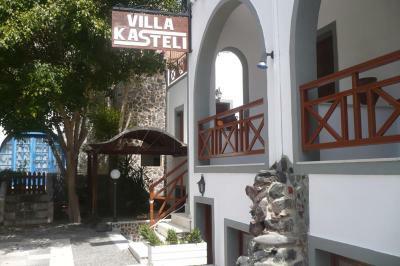 When would you like to stay at Villa Kasteli? 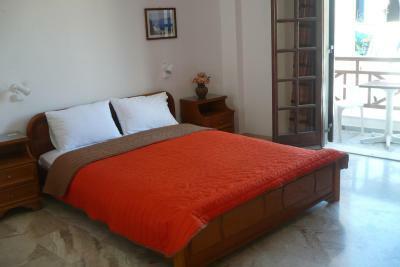 Opening to a furnished balcony, this air-conditioned room comes with a TV, a fridge and free WiFi access. 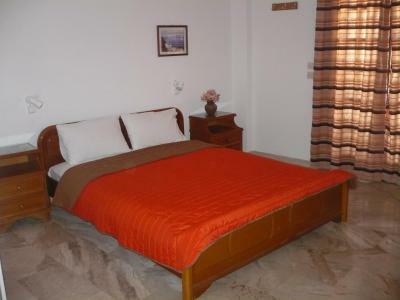 Opening to a furnished balcony, this air-conditioned apartment consists of a separate bedroom, a living room and a kitchenette. 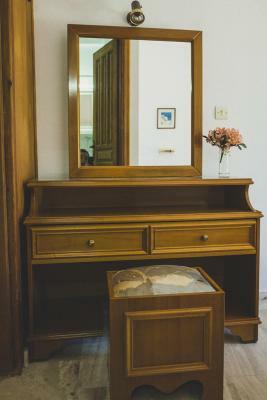 It comes with a TV, a fridge and free WiFi access. Please note that this is a semi-basement room. 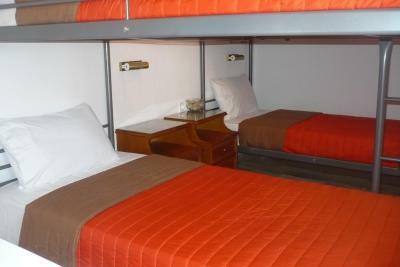 Please note that this dormitory room is located on the mezzanine. 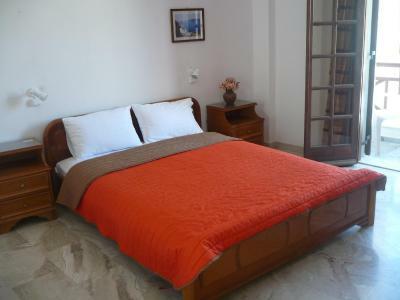 This bed in dormitory has a balcony, tile/marble floor and flat-screen TV. 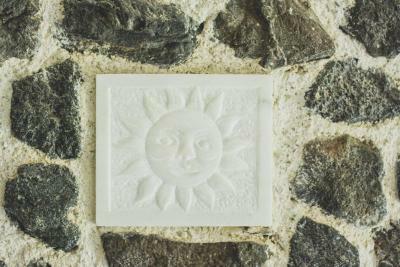 House Rules Villa Kasteli takes special requests – add in the next step! 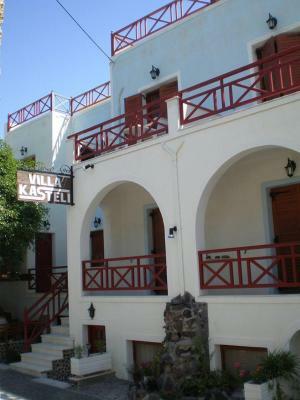 Villa Kasteli accepts these cards and reserves the right to temporarily hold an amount prior to arrival. A suggestion would be to have a bigger and more comfortable common area (only some chairs and a table) but it is not a big problem if you think about spending most of the day at the beach or around the island. 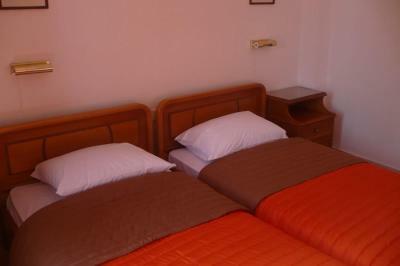 Staff is very kind, I arrived late at night and there was no issue with the check in. 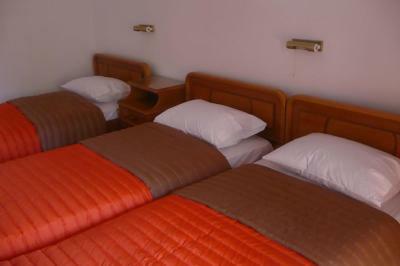 They provide 1 bottle of drinking water free of charge and also a small breakfast as a courtesy. 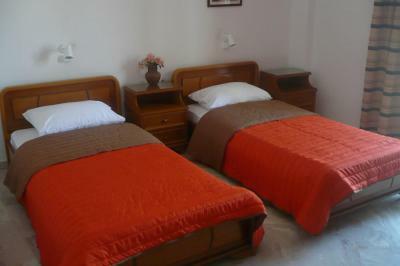 Location is great, very close to Perissa beach, also to the main road that has many shops, supermarkets and the bus stop. 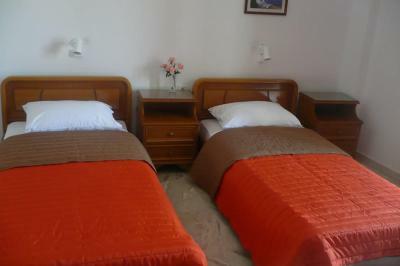 The 3 beds shared room it is good and everything is clean. 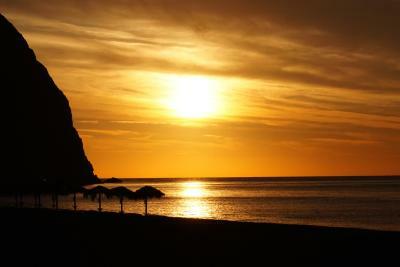 The location is great which is just 5 mins walking distance to the special black sands beach. And everyone loves Vicky who is very nice and patient. And she will give you a lot of tips for this island. I met several good friends here also. 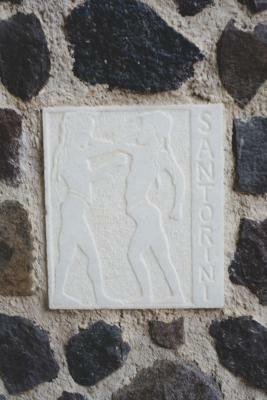 You have to stay here when you come to Santorini. The bunk beds moved a lot so it's hard to sleep if the person on top moves a lot. 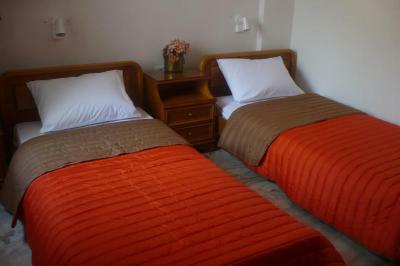 Vicky is very friendly and helpful, and the place is quiet, safe and clean. The atmosphere is very nice and it's easy to make new friends. The beach is just a few meters away. Nice restaurants around too. 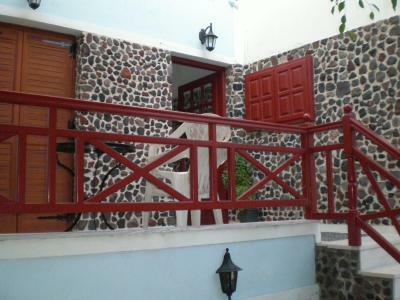 Location one block from beach and handy to plenty of food places and bus stop to Fira. Vickey is by far the best host I've encountered. Just her hospitality alone makes this place worth checking into. I would definitely stay again, if I went there another time. Vicki is a lovely host. She makes breakfast for all her guests. The dorm i was staying at was big, it had enough powerplugs and even a fridge! 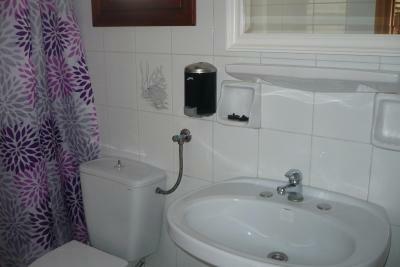 We had a private bathroom (incl toilet) which was clean. WiFi worked well. The bus stop is a 2 min walk which makes it easy to get to fira or the port. The beach is a 5 min walk. Would definitely recommend staying here! !